This is the same product as the WiFly Shield. The difference is this version comes in fancy clamshell packaging meant for our distributors that need it. Regular customers are welcome to order, but we want to limit the amount of extra packaging finding its way into the trash heap. 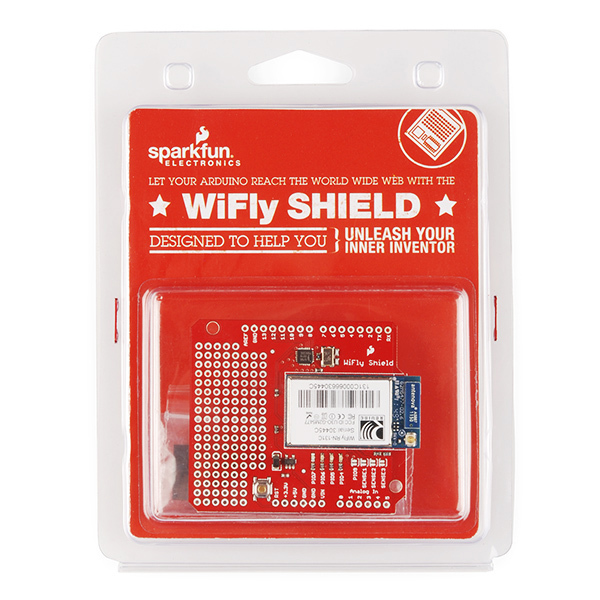 The WiFly Shield equips your Arduino the ability to connect to 802.11b/g wireless networks. 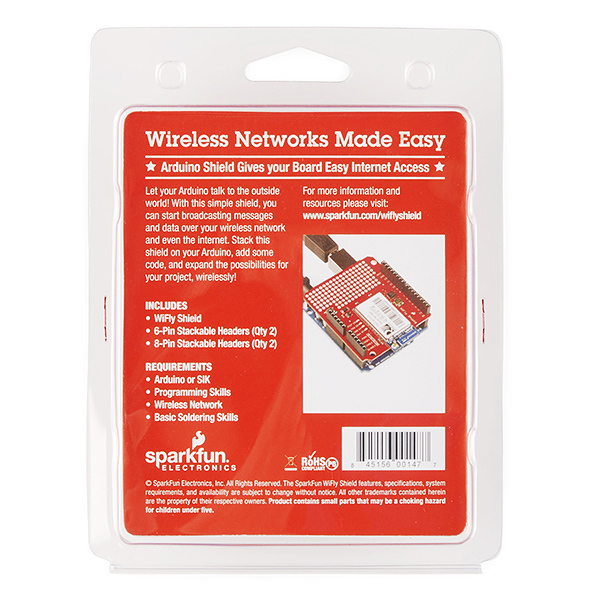 The featured components of the shield are a Roving Network's RN-131C wireless module and an SC16IS750 SPI-to-UART chip. The SPI-to-UART bridge is used to allow for faster transmission speed and to free up the Arduino's UART. Power is taken from the Vin pin of your Arduino, regulated to 3.3V, and provided to both the RN-131C and the SC16IS750. 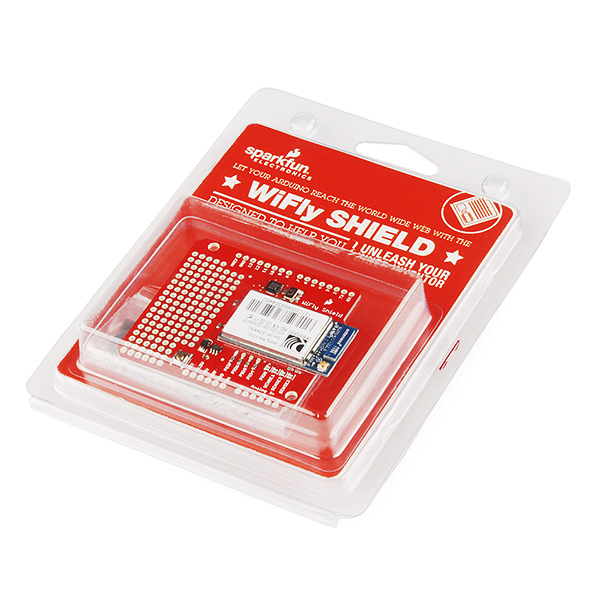 You'll communicate with the WiFly Shield over SPI using Arduino digital pins 10-13 (CS, MOSI, MISO, SCLK respectively). The shield includes the RN-131C, SC16IS750 and their supporting components. The shield also provides a small prototyping area, with 0.1" spaced holes. Stackable headers are provided but not soldered on. According to the data sheet, it draws 210mA on Tx. Can the Arduino support this?